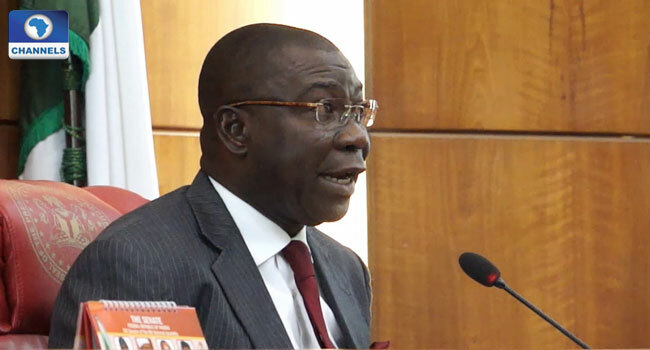 The Deputy Senate President, Ike Ekweremadu, has proposed that governors and presidents should spend only a single term of six years in office. According to him, most leaders do everything possible to remain in power, a situation he believes should come to an end, especially considering the nation’s current political climate. “Unable to resist the temptations that come with the enormous power of incumbency, those who call the shots today, throw everything within their reach into the mix in desperate efforts to retain power at all cost and by all means. “The feverish political climate in the country today, once again, justifies the call by some of us for a single term of five or six years for the President and Governors,” he said on Wednesday in a series of tweets. The Deputy Senate President stressed the need for the nation to make necessary constitutional adjustments to safeguard the democracy and make periods leading up to the elections less toxic. Making reference to other democracies, he said, “For over 150 years, starting from George Washington up to Harry Truman, there was no term limit for Presidents of the United States of America. In fact, President Franklin Delano Roosevelt (FDR) served four terms (although he died just 11 weeks into his fourth term). “It was the 22nd Amendment, which was ratified on February 27, 1951, that gave birth to the two-term limit for US Presidents”. According to him, in the 1970s, many Latin American democracies faced the same challenges as Nigeria. But as many of them transited from military and autocratic regimes to democratic regimes, they discovered that the politics of succession, including incumbents’ penchant for self-perpetuation, overheated their polities and threatened their democracies which eventually led them to adopt the single term Presidency “until such a time their respective democracies matured and stabilised”. “Although virtually all of them have reverted to a two-term Presidency, Mexico still practices single term Presidency, called Sexino,” he stated. The Senate President noted that the single term regime had been proposed before with several transitional options during the constitution amendment exercise in the 7th National Assembly. However, according to him, “it was misunderstood by various political and sectional interests for various reasons and the proposal did not succeed”. He, therefore, proposed that Nigerians consider the single term government after the 2019 general elections. “I strongly believe a single term of five or six years for President and Governors, even if for a stipulated period as was the case with several Latin American democracies, is something Nigerians should revisit after the 2019 general elections. “This will substantially reduce the political tensions and executive excesses that come with self-succession,” he said.